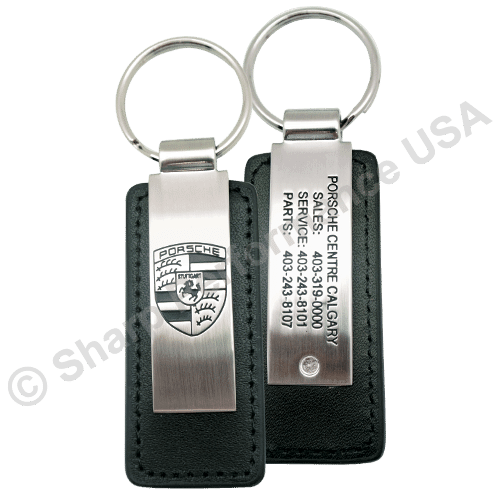 Premium Leather & Metal Rectangular Key Chains - Completely Custom! 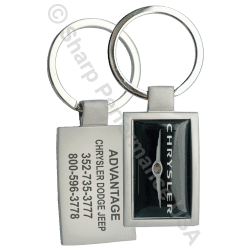 Completely Custom Leather & Metal Rectangle Key Chain Fob. 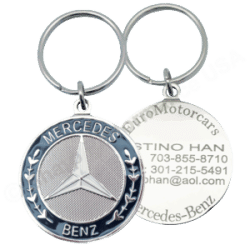 This series of custom leather key tags feature a heavy duty steel split key ring that strongly holds the keys together. The split rings are available in 2 different sizes. 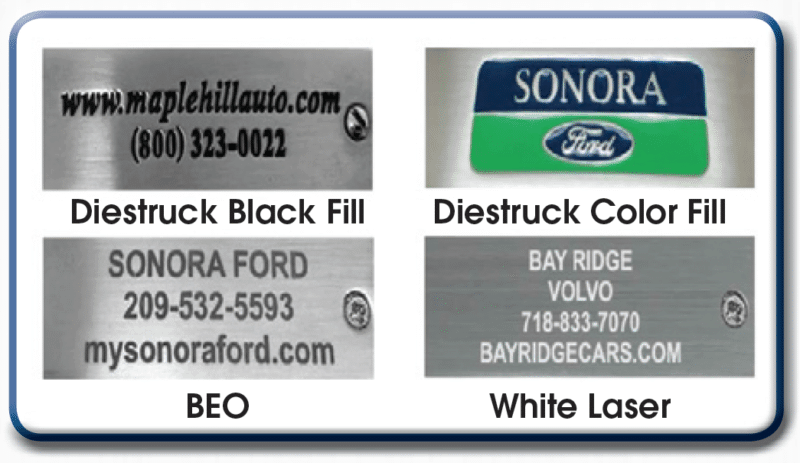 An optional mini split ring is also available for attaching to smart keys, keyless entry & remotes. 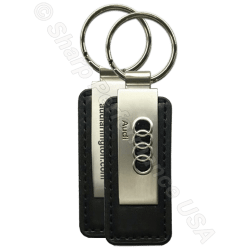 This is a good key holder for those who prefer the look and feel of a leather key fob, and have a simple rectangular logo to showcase. 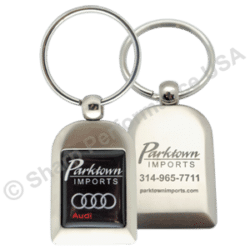 Promotional dealer keychain shown. 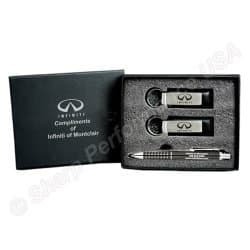 Let us create a custom 3D design with your logo. 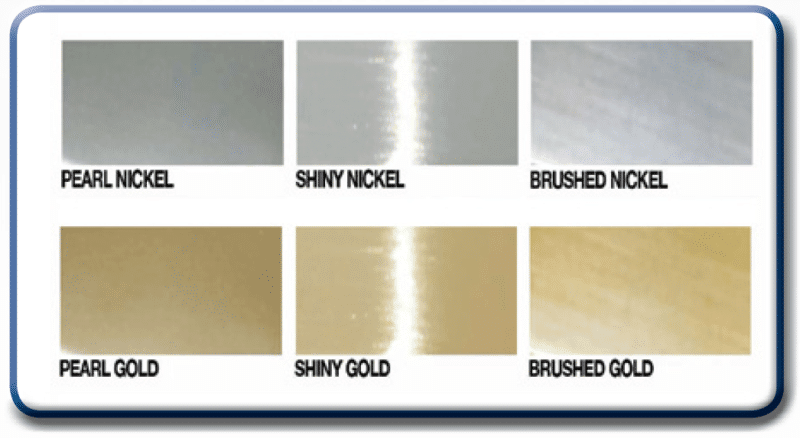 Wholesale bulk only. Not for retail.